LH: What is biodynamic farming? How is it different than organic farming? LSF: First let me point out that we are not Certified Biodynamic. We use biodynamic farming practices on our farm, which means we are knowledgeable of biodynamic practices and use those in collaboration with good farming practices that benefit the farm ecosystem at Live Springs Farm. The concept of “biodynamic farming” was first introduced in Europe by Rudolf Steiner during the early 20th century. The biodynamic method is a holistic approach to farming that encompasses not only the biology of the soil but also the energy of the universe. That is where it largely differs from organic farming. There are some more practical applications of biodynamic farming that we utilize on the farm which include things like making and spraying “horn manure.” This is a fertilizer-type spray that we use on our fields and pastures. We prepare it here on the farm using the manure from our cows. We collect enough manure to fill 300 cow horns each fall. Then we pick a designated spot on the farm, based on different criteria like soil type and propensity to moisture holding, etc., and bury those 300 horns for the duration of winter, digging them up in May. Over the winter, the manure in those horns turns from soupy cow manure to a crumbly, rich, dark, very earthy-smelling, compost-like material. We then also have a special storage method for this preparation, a specific way to prepare it for application to fields and pastures, and a specific way and time of day to spray. There are several other “biodynamic preparations” prepared in similar ways that I don’t have space to detail here. All of these details reflect the intricacies of nature, because the biodynamic preparations are meant to work in collaboration with those very intricacies and help re-enliven natural patterns that are occurring in nature largely unseen to the human eye; yet, they are present and working in some way to help or harm our farming practices. LH: Do you consider biodynamic farming a return to a more ancient way of farming, or is it a new method altogether? LSF: It is absolutely not a return to a more ancient way for farming. That is a widespread misconception that organic farming and the like are “how great grandpa did it.” Farming must be progressive to keep up with the ever-changing environment and human population. Does that mean we need genetically modified crops and proteins or other lab-produced concoctions to feed humanity? . . . absolutely not. We need to continue to learn and be observant of our natural world and figure out how to imitate, replicate, and work with those perfect interactions to produce food efficiently. The biodynamic preparations and model are one tool in the tool box for today’s modern American farmer. The most important aspect of biodynamic farming is the concept of “holism.” Every aspect of the farm—from livestock and wildlife, to crops, water, forest and wetlands—has a relationship with everything else. We view it as one of our most important tasks to nurture these relationships, that they may become stronger and have more synergy. LH: Did Live Springs start out as a biodynamic farm? Why did you chose this method of farming and the place you chose to practice it? 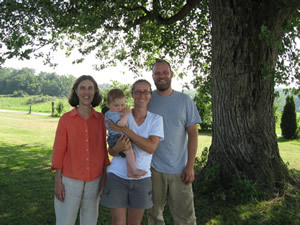 LSF: The land that now supports Live Springs Farm was initially purchased and is still owned by a woman named Dorothy, who bought it with the intentions of it being a biodynamic farm. That initial purchase happened in 2007. 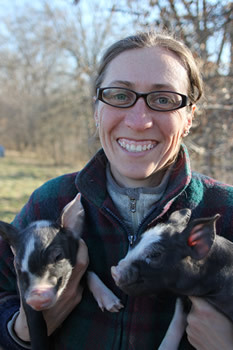 For a short period, the farm was operating under a different name as a not-for-profit organization. Even at that time, it was operating with biodynamic principles. We started growing and producing as Live Springs Farm in 2009 when we started selling our premium products locally, direct to consumers. We chose to use Biodynamic farming practices in collaboration with our other practices like Holistic Planned Grazing because we felt it was one of the most comprehensive approaches to modern farming and would directly benefit the end consumer with the most nutritious food they could feel good about consuming. LH: You have a financial partner who you describe as a “slow money investor” who seeks a “triple bottom line.” What’s your relationship with her, and what does that mean? LSF: Our “slow money investor” is the aforementioned landowner Dorothy. We met Dorothy in 2007 as part of that original not-for-profit organization. As that organization changed their mission and goals and decided to downsize and leave the Midwest region, Dorothy was left with a large piece of land far from her home in Alabama, and Alex and I (Bobbi) were left as farmers needing a place to farm. It kind of seemed like the obvious answer! The devil is in the details, right? Dorothy is a very forward-thinking individual when it comes to ideas about the true place of land and money in our society, and Alex and I are very passionate about farming, animals, food, and nutrition. The marriage of all those things has led to the very unique situation we have here at Live Springs Farm. We have a very close relationship with Dorothy. We talk to her regularly about the progress on the farm, challenges we’re facing, and big picture ideas about where to go in the future, including ideas about land ownership, business models, etc. Her commitment at this moment in time is in retaining full ownership of the land and business while investing monetarily in infrastructure and other farm needs that will help the farm business succeed and become financially sustainable. The idea of “slow money” investing is particularly important to farming and, in particular, farming that tries to work holistically, in collaboration with natural processes. Things in nature happen in patterns and often take years . . . . A cow is pregnant for nine months, a calf is born, nurses from that cow for 9 months (here at Live Springs anyway! ), continues to grow for another 15 months until it is truly “finished” and ready for slaughter, or ready for starting the process as a mother cow. That is a good deal of time to wait for some return on your initial investment of that original mother cow—and many things in farming take even longer. Actually, that mother cow needs to have 3 healthy calves on the ground before she begins to become profitable for the owner, which is a pretty slow investment return. The “triple bottom line” aspect of that investment is a multi-faceted look at what the return on investment is. It isn’t about just the monetary return. . . . It is a small financial return (money), a return for the community (i.e. nutritious food available, a clean watershed, lack of exposure to harmful chemicals), and a return for mother nature (i.e. healthy, vibrant, carbon-rich soil that can help natural processes flourish). LH: Describe an average day in the life of your farm. LSF: We start early in the morning, around 5:30 A.M., doing chores which include: milking the goat (for our personal consumption on the farm! ); rolling up the temporary fencing for the cows, moving them into a new portion of pasture, and setting up temporary fencing for their afternoon move to fresh pasture; opening the doors to the eggmobile for the laying hens to come out for the daylight (every other day that also means moving the eggmobile to a new pasture portion), opening the doors on the shelters for the broiler/fryer chickens to come out and moving their shelters forward to fresh ground for that day, and every fifth day that means moving their whole set-up to a fresh acre of pasture; also feeding and watering those chickens; and checking on and watering the feeder pigs in the woods. Then certain weeks there are also chicks in our brooders that are under two weeks old that haven’t gone out to pasture yet, and need fed and watered in the brooders. Also, it may be the week when the feeder pigs need access to a new portion of woodlot or pasture so temporary fencing has to be taken down and re-setup, and feeders and drinkers need to be moved. That all happens before 8 A.M. when we break for breakfast. Then after breakfast there are any number of things to do. . . . Bobbi has to keep up with emails to individual customers asking questions and placing orders, be in conversation with restaurants and grocery stores about ordering, schedule with the butcher facilities and do cutting instructions for those places on how to process the meat, keep up the website and other social media outlets including email newsletters and updates for buying clubs, go to farmers’ markets, make deliveries to grocery stores and buying club members, take animals to the butcher (that happens well before breakfast on designated days), do the farm bookkeeping and accounting, keep up meat inventory and packing orders for distribution, attend speaking engagements, perform any veterinary treatments to any animals, order supplies, clean and pack eggs—the list goes on. Alex fills the rest of his day making feed rations for the farm’s pigs and chickens, doing repairs and maintenance on any of the farm equipment and machinery, doing field work which varies throughout the year (from tillage and planting in the fall, to harvesting in the summer, planting cover crops in the summer, making hay in the summer, and spraying biodynamic preparations), managing the two full-time employees on the farm, continuing to work on building new high tensile electric fence and maintain existing fence, overseeing or doing other infrastructure improvements on the farm like building eggmobiles and chicken shelters. Then there are the afternoon chores like collecting eggs, freshening up feed and water for the broiler/fryer chickens, moving the cows again to a new pasture portion, feeding, watering, and checking on the sows and boars and possibly giving them a new pasture/woodlot portion. 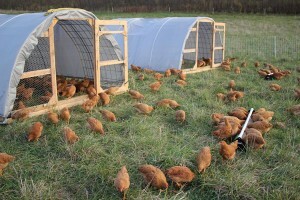 After dark the chickens get locked up, safe from nighttime predators. 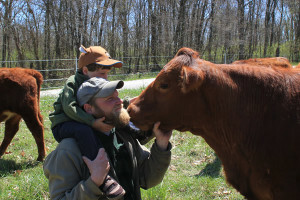 LH: Most farms that raise grass-fed, antibiotic-free animals seem to have one particular animal that they focus on—largely selling one type of cattle only, for example—while you raise cows, pigs, and chickens. Is this diversity due to your biodynamic practices, and does it make your daily work harder? LSF: The diversity is in part due to biodynamic practices. Many farms you see using biodynamics are very diversified farms because of the holistic approach it encourages, but many are not. For example, many wineries have incorporated just the practical aspects of the biodynamic preparations, like the horn manure I mentioned, because they are seeing incredible beneficial results. Our approach to diversity is based in many thoughts . . .
1. Nature likes diversity. There are many important relationships that we interrupt by trying to be too specialized. 2. We can produce more food on the same acre of ground. If you put sheep, goats, chickens, cows, and pigs on an acre of ground where there is some grass, some weeds, some brushy areas, some mast producing trees, etc. and watch each of those animals, you’ll see they all have their specialties without one inflicting any negative stress on the other in terms of food supply. In fact, quite the opposite: they each seek out the food source most valuable to them, with some overlap. Then they deposit their unique manures, which are the most nutrient dense form of food for soil microorganisms which produce their own manure and have their unique characteristics to aerate soil and provide nutrition to all those growing plants, including other plants that can be used directly for human consumption without a single bag of fertilizer. 3. We like to do different things, it makes us happier. 4. It helps our customers. We know we’re asking a lot of our modern day families who have become very distanced from real food. Getting real food these days is by no means the norm, while 24-hour grocery stores stocked with the same product disguised as nutritious food 365 days out of the year are. We’re asking customers to give up this seemingly convenient experience to go one place to get their grassfed beef, another place for their organically-grown vegetables, another place for eggs, another place for pork, another place for milk, and on and on. Oh, and they can only get one thing once a month and another thing is once a week. We’re trying to do our little part to offer a little more convenience and we’re going to keep working on that as we grow. 5. It builds in resiliency to the business. We’re not putting all of our eggs in one basket. All of this makes for year-round, long, hard days of work—but being too specialized definitely has its down sides as well, like not addressing any of the points I mentioned above. We feel it is 100% a possibility for human beings to feed themselves without the use of GMO crops (which don’t offer any yield increases) and nutrient-devoid, mass-produced, laboratory-grown foods—but it will take much more hard work on the part of farmers and consumer support for understanding the importance of diversity and flexibility on farms. LH: What is your favorite local product (besides your own, of course)? LSF: We love all of our fresh produce from Three Rivers Community Farm and Riverbend Roots Farm. We are also partial to the truly divine artistry of everything from Salume Beddu! LH: What is your favorite thing about working with Local Harvest? LSF: We are appreciative of Local Harvest’s continued promotion of local farmers and the various products they have to offer. We are also happy that Local Harvest is just what it is . . . a grocery store. This is a concept that Americans are used to now. As a grocery store, Local Harvest provides another setting (aside from less mainstream farm-to-consumer outlets like farmers’ markets or buying clubs) for people to find higher quality food and start to bridge that gap with food consumption and farming. Also, we just appreciate that they are willing to buy from farmers like ourselves. We farm full-time and then we work full-time to try to sell our products: it’s hard work and we’re so appreciative of places that help to make that a little easier. LH: What is your favorite thing about living in this area? 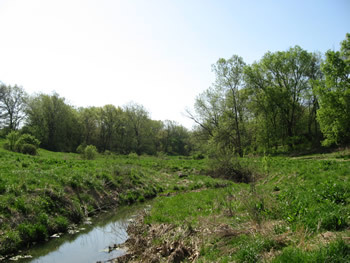 LSF: (Bobbi) I grew up in western Ohio so the Midwest is home to me. I farmed in New York for a time and couldn’t get away fast enough. The pace of life here is fast but I couldn’t keep up there. This is also a great area for diverse food production. LH: Why should people buy local? LSF: If we could get everyone to switch to buying local overnight, we would see an amazing transformation in the overall well-being of our country and citizens. When you have corn grown in Illinois, shipped to China to feed the hogs (the biggest hog producer in the U.S. is in the process of being bought by a Chinese company), the pork shipped back to California and trucked to Iowa for further processing into hotdogs and other porky products, and then those pork products trucked back to feed the communities where the initial corn was grown, there are a lot of corporate interests making money along the way. Meanwhile, the original farmer got paid less than the cost of producing that corn and in turn got a nutrient-deficient end product for what appears to be relatively “cheap”. Buying local encourages farmers to do better because they’re feeding their neighbors and usually it means getting paid a fair price. Consumers are getting more nutrient-dense food that hasn’t been harvested too early and traveled too far or sat in a warehouse for years. The money stays closer to home thus building the quality of life for our own communities. Consumers can also generally have more of a say in what they want by communicating with the producer, which also goes to further encourage farmers to do better.